The SABMR travels to Singapore to bring back life-saving stem cells for a South African patient. You are here: Home / News from the Office / The SABMR travels to Singapore to bring back life-saving stem cells for a South African patient. 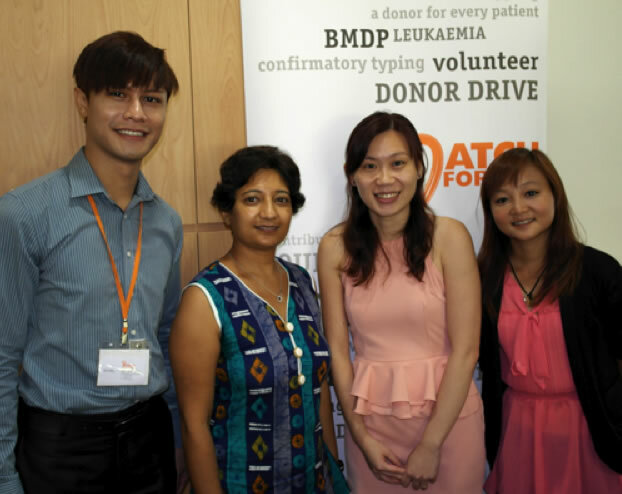 Gita Shiba, SABMR courier (middle left) with staff from the Singapore Bone Marrow Donor Programme (BMDP). With a 1 in 100,000 chance of finding a matching donor for a patient, the search for that one life-saving individual frequently goes worldwide. In fact, for over 75% of the patients that the SABMR assists, matching donors have been found outside South Africa. Once a donor has been identified by the SABMR, everything must be done to ensure that the donated cells are transported to the patient as quickly and reliably as possible. Transporting stem cells is somewhat of a “military operation” – speed, coordination and reliability are essential as the stem cells need to reach the patient’s bedside at the exact time that the transplant is scheduled. All this needs to take place within a window period of just 72 hours! The SABMR has a team of trained volunteer couriers who collect the stem cells from the collection centre and bring them to the transplant hospital within the shortest period of time. These “flying bodyguards” personally carry the stem cells in a special cooler box as it is essential that they remain at a consistent temperature. 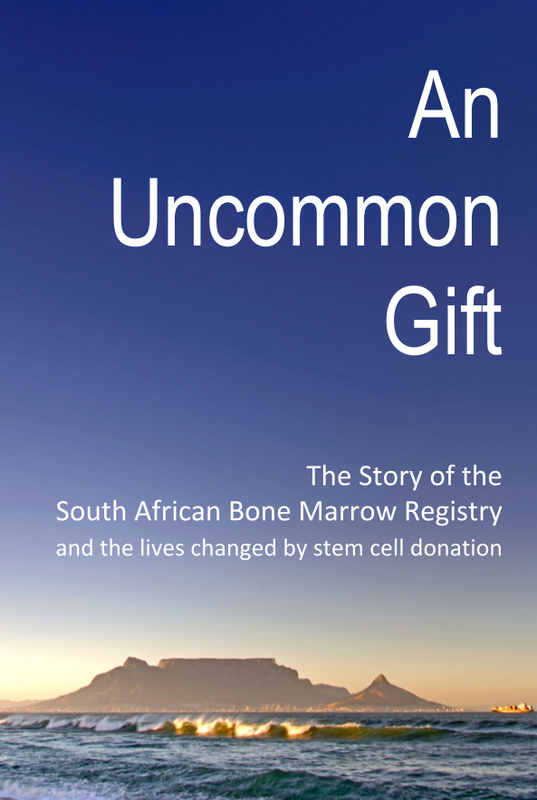 For the first time since its establishment 22 years ago, the SABMR found a matching donor in Singapore for a South Africa patient. Gita Shiba made the journey to bring back these life-saving cells. “It can be rather stressful to know that someone’s life is literally in your hands but at the same time, there is huge fulfillment in knowing that you play a part in saving that life”.